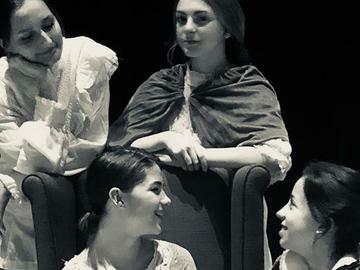 Perkiomen Valley High School presents its fall play, Little Women, the classic tale of Victorian girl power, adapted by Gary Peterson from Louisa May Alcott's beloved novel. Produced by special arrangment with Pioneer Drama Service, Inc. Denver ,Colorado. Tickets purchased online are $11.00 or you can purchase tickets for $10 with cash at Perkiomen Valley High School at the door, through the mail, or during lunches. Email tfisher@pvsd.org for details regarding on site cash sales. See you there!